The acquisition of Whole Foods by Amazon has been the focus of much attention over the last week. And it’s not only retailers that are taking notice. With our increased desire for delivered goods, drone companies are looking toward Amazon as a way to shepherd in the use of drones in mainstream retail. 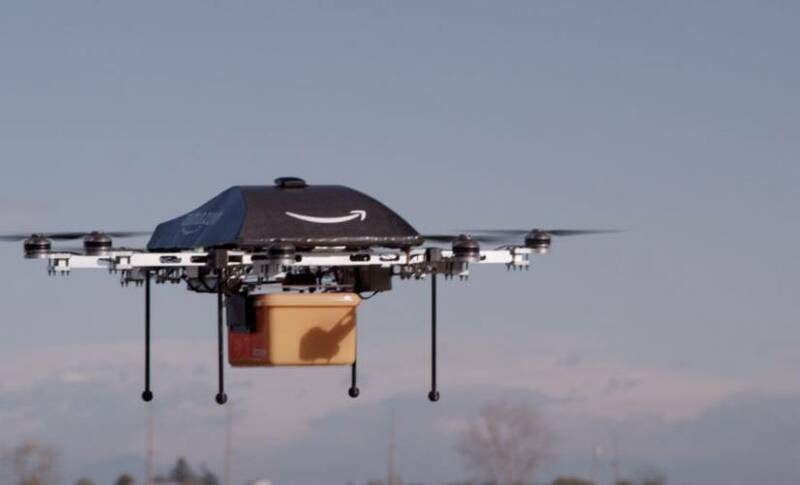 Amazon is, in many respects, primed for success in such a market, especially with the creation of its Prime Air drone delivery platform. In March, Amazon completed its first public demonstration of drone deliveries, ferrying sunscreen to attendees at an Amazon-hosted conference in California. Most recently, we saw news of the creation of a new research and development facility near Paris, where about a dozen software engineers and developers are working to ensure flying delivery vehicles don’t collide with buildings, trees, other drones, and birds. In a quest to understand the impact of drones on retail services, I spoke to Yariv Bash, co-founder and CEO of full-service drone delivery logistics company Flytrex. Last year, Flytrex successfully rolled out a drone delivery service with the Ukranian postal service to deliver goods up to 1kg (2.2 pounds) over 23km (14.3 miles). Flytex’s main focus, however, is enterprise customers who not only want to purchase a fleet of drones, but also the accompanying control and monitoring systems. Perhaps the biggest selling point their drones is their convenience — they can be taken out of the box, charged, connected to an accompanying app, and used. According to Bash, over 25 million parcels are transported around the world every day, with the majority weighing less than 2 pounds — ideal for drone delivery. As a result, it’s likely that we’ll see drones as part of a logistics package where they complement road vehicles, rather than replace them. One of the least-reported benefits of drones is their low carbon footprint. According to Bash, drones can “reduce road congestion in crowded cities and reduce air pollution.” It’s easy to imagine them replacing small-scale single-item deliveries, including food deliveries. Drones will also change customer experience. While the idea of a drone arriving on our doorstep is still far off, it’s likely that we will soon see scheduled drone deliveries to designated drop off areas like a rooftops in residential areas. How will drones change our skies? Drones will undoubtedly change our skies; one of the biggest challenges to their success will be the struggle to regulate airspace to accommodate different vehicles. NASA and various partners completed testing earlier this month of live, remotely operated drones at six sites around the country. According to Parimal Kopardekar, senior technologist for NASA’s air transportation system research and principal investigator for UTM, a traffic management system is essential “to ensure the safety of the nation’s manned and unmanned airspace.” The operational scenarios have simulated a variety of use cases including package deliveries, farmland surveys, search and rescue operations, railway inspections, and video surveillance operations. Initial test results showed that when flying well beyond the pilot’s line of sight, operators could lose sync with their aircraft, demonstrating the need to develop better ways to strengthen these links. Developing a quality standard for these communications links will be a critical element for the success of the industry as a whole. Big industry players like Amazon are reliant on the FAA to solve these challenges; the FAA’s efforts are aided by increased technological advances like spatial recognition and awareness of other drones, airplanes, and man-made objects like tall buildings and bridges. Drones also need to be adaptable to changing weather and changing flight paths and able to react to communication from land. Flytrex signed a shipping agreement with American Duty Free, the largest duty-free company in the United States. American Duty Free’s partnership with a pharmaceutical company makes it interested in helping its fleet of drug makers supply medication in difficult-to-access areas of developing countries. While Bash admits that he doesn’t know how long we will have to wait until drone deliveries become commonplace, he insists on its eventuality. 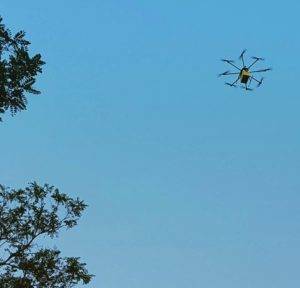 That drone-delivered kale might be a way off, but it’s coming.